Two months ago tomorrow, I insisted my sis come to quilting. You can read about it in the Bitten post. Kinda long story short, she was instantly hooked! I’m proud and happy to say she’s still stitching strong! She gets frustrated at times, especially when she’s rushing to get something finished, but she’s been very productive. 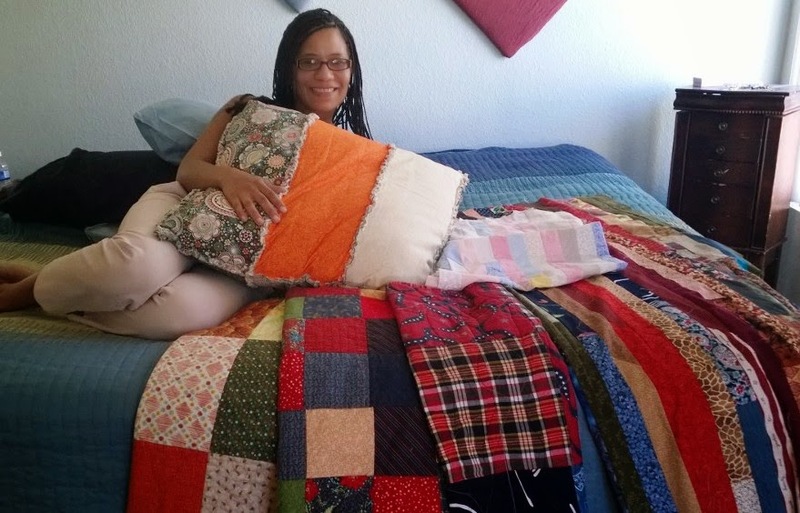 She’s already completed 3 patchwork quilts, several pillows and a couple “jellyroll” tops. I often have to remind her to slow down. What’s the rush? But we all know how it is when you want to see a project complete. I maybe should sometimes take my own advice about not rushing. Well, not rushing so much as just not having so many projects going at once. I know this is the norm for many of us quilters but what’s not normal is the other craziness going on in my brain. 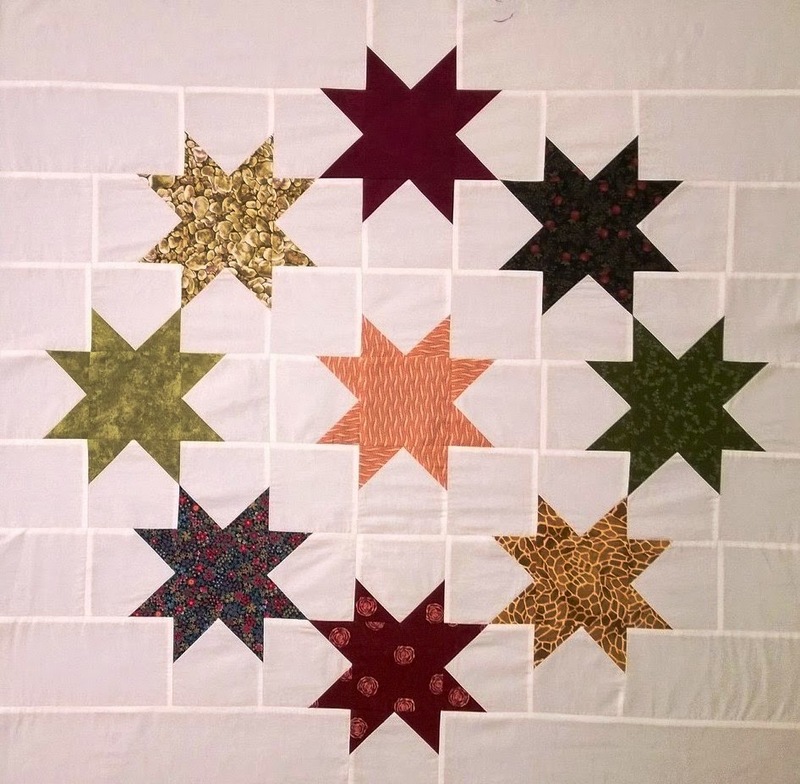 Like me thinking that since I didn’t start quilting until I was 40 that I have at least 15 years of quilting to make up for, because I would’ve loved quilting when I was 25yrs old if someone would’ve just introduced it to me !! Crazy huh? LOL! Anyway having multiple projects you want/need to finish is definitely more stressful than having just one. All I can say is, I NEVER get bored! And speaking of projects, I finished one last night! I did different FMQ in each block. I also used Jera’s Quick Binding method. And, I finally decided what I want to do w/the One Block Wonder I put together many moons ago and hated. You can read about it here and here. It’s going to be a large lap quilt for my mom instead. Her b-day is on November 3rd so I’ve got several weeks to complete it. I’ve already taken the too wide borders off and reduced the overall size of the quilt a bit. 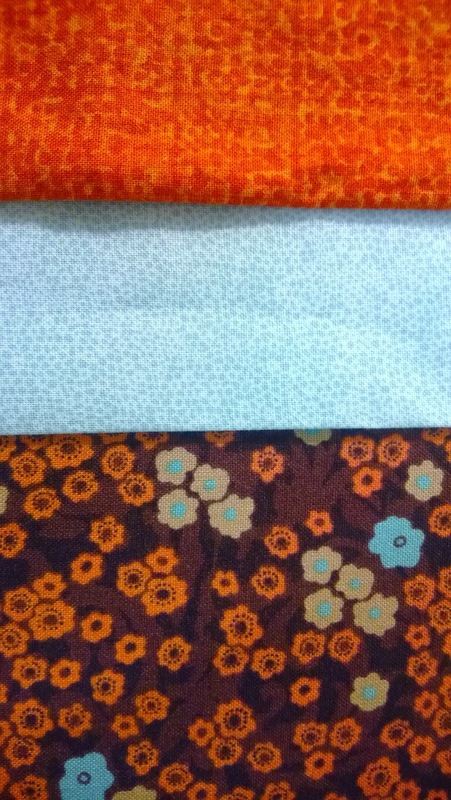 The orange will still be the 1st border and I’ll add a 2nd wider border of the brown floral. 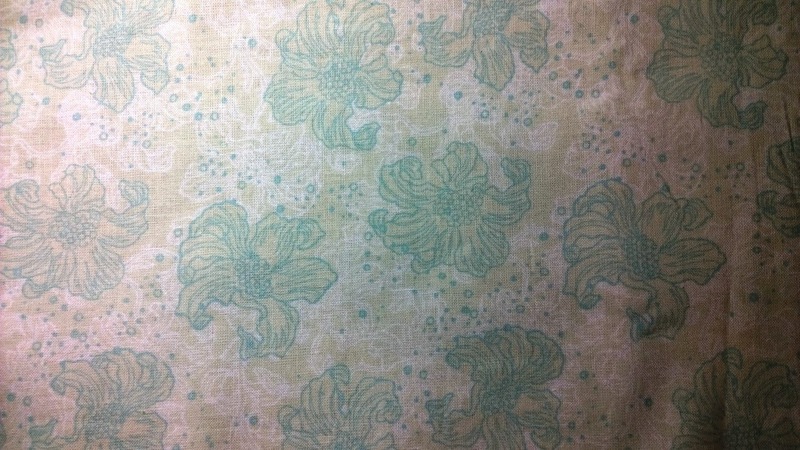 The back will be pieced w/the plain aqua and white/light aqua floral AND the extra strips I removed from the quilt top will serve as binding. I’ve got a few other quilt deadlines too! The Summer Star Mini and Bento Box are due on November 6 for a charity we are working on in QA. They’ve yet to be basted and quilted. 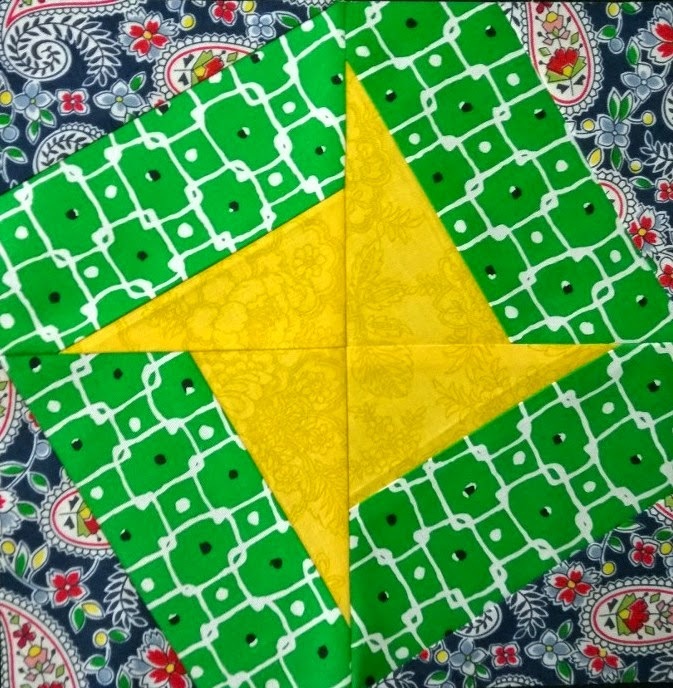 These Double Option Stars Blocks are for a quilt I’m making as a Christmas gift for my little sis. Three down, 39 more to go. I’d like to have Diamonds and Purples completed in time for Christmas as well. Waiting to be basted and quilted too. In addition I have several small quilted gifts I’m working on. I’ve got a lot to accomplish so I better get sewing. 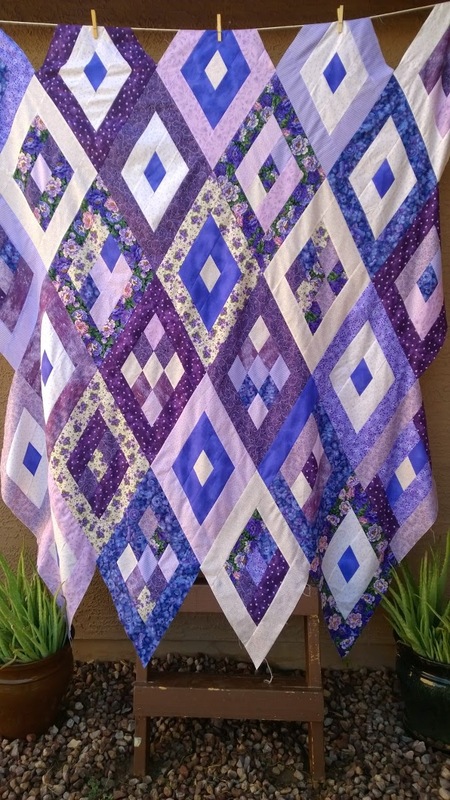 How wonderful that your sister has also been bitten by the quilting bug! You two can now share your passion for stitching together. 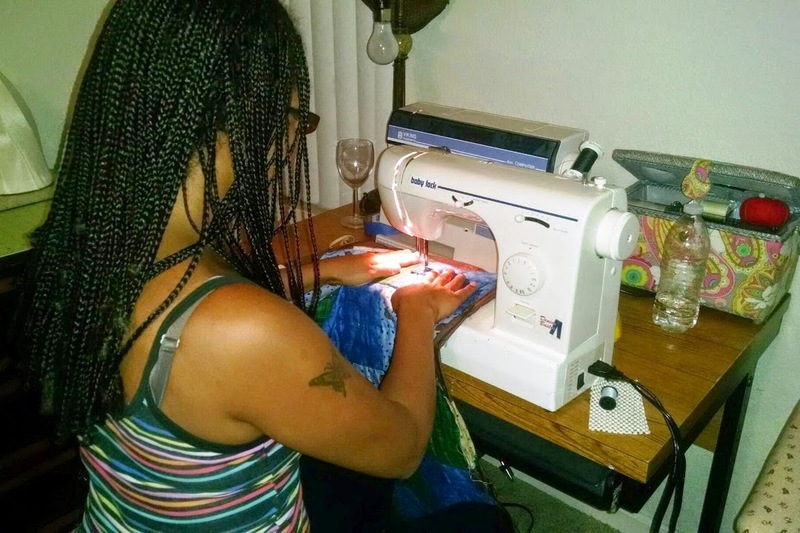 Looks like you do have some lovely projects on the go, Zenia! Those purple diamonds are so pretty! I wish I had a quilt buddy close. I think having that would help to motivate me! I looked into some guilds, but they all meet during the week at like 9 am so not for the working quilter. I may have to tackle someone in the street and make them learn lol! Great projects in progress and great job exposing your sis to the quilting bug!!! It is truly wonderful. Thank you. There's gotta be one that meets in the evening! I try to be the motivator in my circle. I definitely quilt/sew more often than anyone I know. 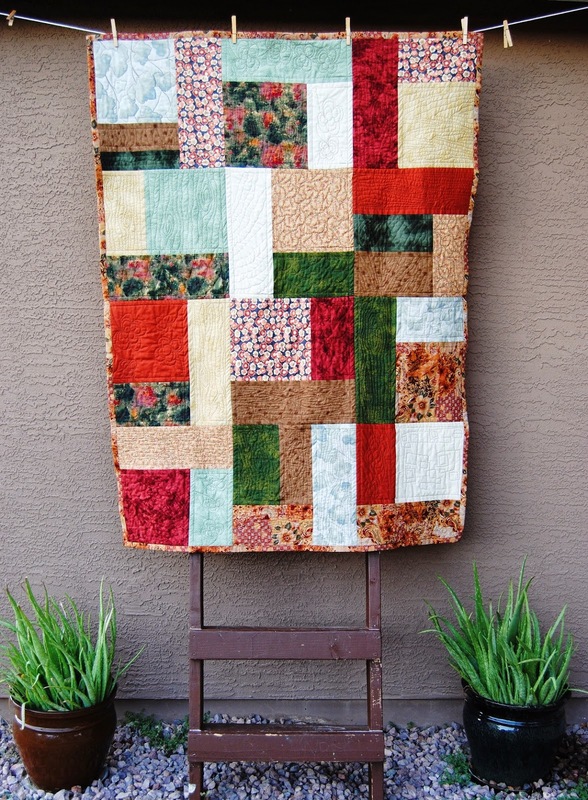 I really enjoy being a member Quilters Anonymous chapter of the Arizona Quilt Guild. We meet in the evening on the 1st Thursday of the month. You can probably recruit some peeps at Joann or your local fabric store. Thanks Jessica and right on for stopping by. 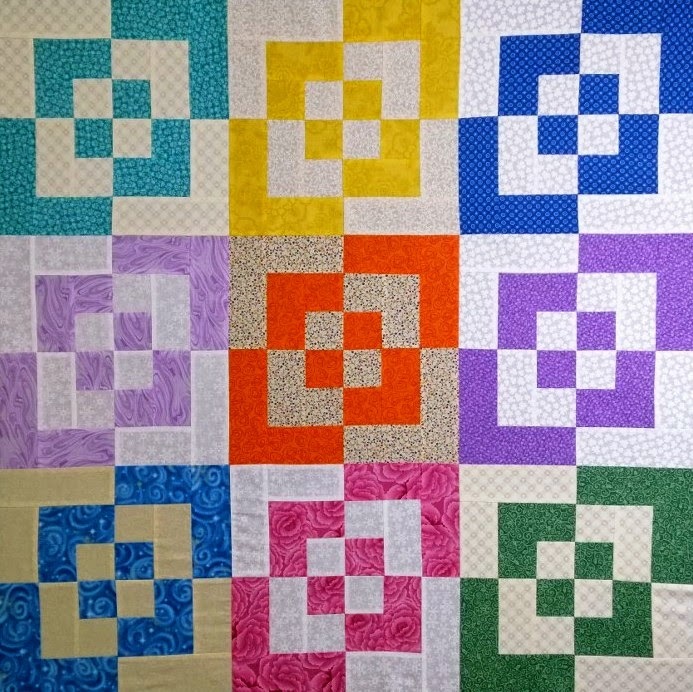 You've got some great quilts happening! Wow, you guys don't hang about! I'd love to sew with my sister and have a cunning plan…hope she's as easy to convince as yours. Jan from Sew and Sow farms said to come on over and say hi. I must say you have some very nice quilts. I think we've ALL felt that way about being so excited to get projects finished and see what it looks like. 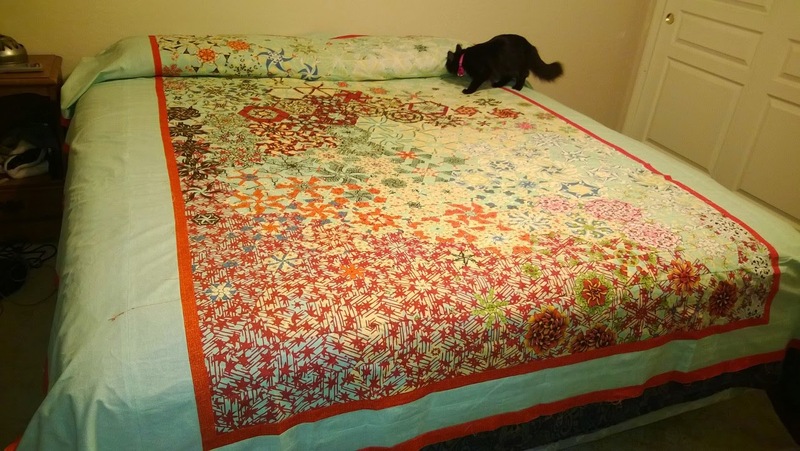 I quilt with a family member, too (my mom), and it's one of the best things ever! No we don't. We are all about quilting! Thanks for visiting. Carli, my sis wasn't interested at all either! You may have to be more persistent. Thank you both for visiting my blog. Come again soon. I agree Laura. It is such a joy. What a great post! Good for you, getting your sister interested (obsessed?) with quilting. And lots of pretty eye candy. You've done some really good work! I started quilting later, too, and have no intention of stopping! She's not quite obsessed yet…but I'm working on it. Thank you for stopping by. What fun to have a sister to sew with. It is a lot of fun BillieBee! We enjoy our time together. Thanks for stopping by. My stars! You have a lot of wonderful, colorful, projects going on. I hope you link to Hexie Weekend again to share your progress. Thank you! I will link up again.